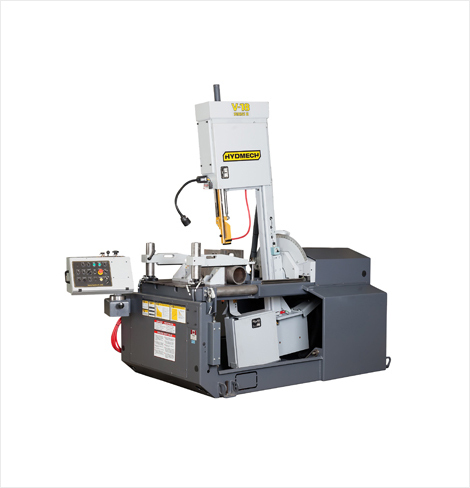 Description: The V-18 is a semi-automatic vertical band saw with the ability to miter from 45° left to 45° right. 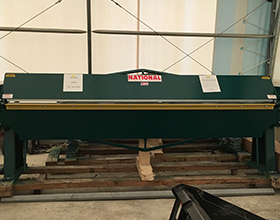 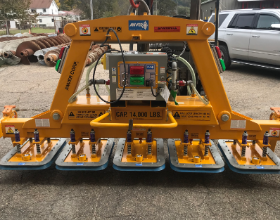 A 2 HP driven hydraulic pump supplies system pressure through three position directional valves controlling all vising, head advance/retract, blade tension, and guide arm movement. 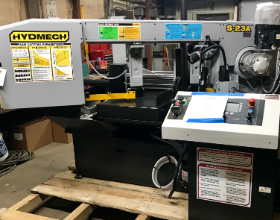 Its optional 6° degree canted head, recommended when cutting larger beams, structural steel, and bundles of square tubing allows for more efficient cutting and improved blade life. 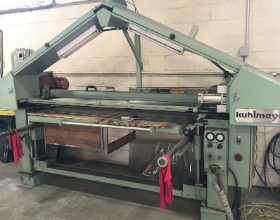 Featuring a 18"W x 31"H capacity, 7.5 HP motor, and 1 1/4" blade, the V-18 is a reliable choice for all your vertical metal cutting applications.